NC State’s Michael Lee gets the block vs UMass. Photo: Brian Whittier. ATHENS, Ga. — It was a weird, wet weekend for teams down south for the Classic City Classic. Heavy rain all day on Saturday meant that the original field site had to be abandoned after a single round. The Georgia TDs did well to find an alternate field site and give teams a chance to play despite the conditions. Still, things weren’t ideal. They were only able to access a single turf football field, so only two games could be played at a time, making rounds short, fields narrow, and endzones small. The circumstances made it difficult to really get a good gauge on where teams stand. On top of the usual nature of the fall, with teams playing with open or experimental lines and working out the usual preseason kinks, the lack of normal game time and the quirky nature of the fields made for a fun atmosphere, but not a great simulation of a normal tournament for any of the teams present. Some teams–like Florida, Emory, and Virginia Tech–didn’t even show up for the make up games and simply left once games at the original site were cancelled. But there was just enough action for us to pick up on some things to look out for come the spring. Here’s a rundown of all the things that stood out in one of the most memorable CCCs in recent memory. UNC only played three games over the weekend — one in the first round Saturday against Emory and then against Auburn and Brown on Sunday afternoon — but it was evident in that limited amount of game time that they were in a league of their own. They surged away from Emory in the second half in the rain, and they easily outclassed Brown and Auburn, two Nationals teams last season with big aspirations for the 2019 season. The didn’t even have 2018 Player of the Year Matt Gouchoe-Hanas or a few other significant players like Marc Rovner and Walker Matthews, and they still put themselves in a tier all to their own. 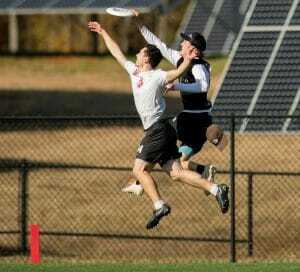 UNC’s Liam Searles-Bohs makes the grab over Brown’s John Randolph. Photo: Brian Whittier. Anders Juengst looked like the best player at the tournament, virtually uncoverable by any of his opponents, and his teammate Elijah Long wasn’t far behind him. A more surprising standout for UNC, though, was Suraj Madiraju, who looks like he’ll log significant touches for the team in the spring. It was striking how much better Carolina looked than everyone else, considering how strong the field was. But coach J.D. Hastings wasn’t entirely sure about the ultimate side of things, and the team seemed to take advantage of the weather-shortened schedule with a little team building. So the defending champs were without their best player and other key players, made the best of the unfortunate weather, and looked miles ahead of their toughest competition at CCC. Based on their fall, North Carolina are big favorites to repeat as national champs. 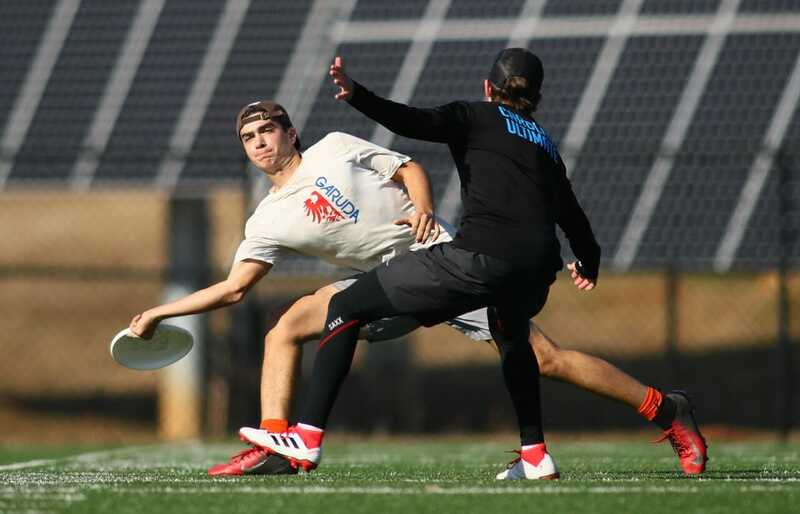 With 2018 Rookie of the Year John Randolph and All-America second teamer Mac Hecht leading the way for a team with a lot of roster continuity, it’s no surprise that Brown, a fifth place finisher at last season’s College Nationals, is still very good. They smashed a solid Georgia team and showed off plenty of chemistry with their pull play sets, which yielded more quick scores than those of any other team. Hecht iso under, Randolph deep. Easy money. But there’s no way around the fact that they got drubbed by UNC. The team will need work to compete with the very best teams. Their D-line offense looked pretty anemic without Randolph or Hecht out on the field (note that sophomore Dylan Villeneuve, a standout rookie last season, did not travel with the team due to illness). They also don’t have a ton of depth, the big reason UNC handled them so easily. But getting whooped by UNC isn’t exactly a fate that many will avoid. Despite graduating Eli Motycka, Brown is going to be right back in the quarters — and possibly semis — conversation this year. Brown’s Mac Hecht gets a forehand off against UNC’s Elijah Long. Photo: Brian Whittier. With all the caveats about the truncated tournament schedule, Ohio State went undefeated this weekend and looked like the most promising ‘rising star’ at the tournament. After a sloppy win over Michigan on Saturday morning, they got a crushing win over William and Mary and a pretty substantial one over UMass in their pair of Sunday games. To be sure, Ohio State and UMass had very different goals. OSU was playing tighter lines and angling for a splashy result this weekend; UMass was running open lines with no crossover play between offense and defense. But their 9-5 win was no fluke. They punished UMass’ too-frequent mistakes with efficient D-line offense and did enough on offense to get the win. “Defensively is where we’re trying to make some plays, and we were able to do that today,” said Bentrovato. Led by Zach Braun and featuring some standout rookies (Axel Agami and Noah Krumme, both Cincinnati Flying Pig YCC alums), OSU is well-positioned to become a legitimate Nationals bubble team this year. And with the large majority of the key players returning in 2020, they have a two-year window to do some damage. They’ve probably earned that chance. UMass, having missed much of their fall, took a developmental approach to the weekend. They split into X and Y lines to get players as much playing experience as possible. That led to some tough results, like the loss to Ohio State on Sunday, but there’s no reason to panic. UMass missed out on their earlier fall tournament due to weather and lost a lot of practice time for the same reason. Using the open lines the way they did made sense for them, and there were enough positive signs to believe that UMass will be a strong team in the spring. Wallack said that the team doesn’t usually really find its identity until after winter break when the team comes back to school for training. UMass clearly wasn’t looking for wins on the weekend — and they did get a couple against UConn and NC State — but they have plenty of positives to take back with them to close out their fall. Can Auburn Finally Earn a Bid? Apart from their loss to UNC, it was a pretty solid weekend for Auburn. They blew out Florida State to start the tournament and got a win over BYU. They lost to UNC (badly) and UNC Wilmington. Eric Sjostrom absorbed a ton of touches and was one of the most impressive players on the weekend. Auburn’s top players logged more minutes than most teams’ and as a result they looked more polished than most. One player who stood out in particular was freshman David Perry. He demonstrated impressive explosiveness and speed and took the Anders Juengst matchup in the North Carolina game. He didn’t win the matchup, but he held his own for much of the game and probably did a better job guarding the Carolina cutter than anyone else at the tournament. The fact that they had him guarding Juengst at all says a lot about what Auburn thinks of the freshman from New Jersey with plenty of experience playing with the DEVYL YCC team. Auburn looks like they’ll be a challenger in the Southeast once again. Sjostrom will be a frontrunner for Southeast Player of the Year, and Perry looks like a good bet to win freshman of the year honors. The question with Auburn, as it always is: will they earn a bid? At CCC, they looked like they should be capable. BYU braved the awful conditions on Saturday and played as many games as they could. They finished the weekend 3-1, with wins over Carnegie Mellon, FSU, and William & Mary and a 7-6 loss to Auburn. BYU was missing about a third of its roster and a few key playmakers, but still looked like the team we’ve come to know: strong fundamentals, handlers adept at breaking the mark, some athletic defenders. Their D-line offense was clearly lacking some punch, and they hucked away a lot of break chances. The O-line looked pretty good, but the combination of playing against zone in cold rain on a very narrow field with short endzones made life difficult. Our early read: they will be better than last year’s team but probably not quite as explosive as the top 10 quality team from 2017. The defending Southeast champs went 2-0 against in-region teams (LSU and Kennesaw State) but took a big loss to Brown. Like many of the teams blessed with depth, Georgia played wide open rotations. “We’re focusing on having a lot of our young guys, our rookies playing and continuing to put them in positions where they have to make adjustments in real time,” said captain Hunter Cutts. Jojah has the benefit of drawing talent up from a robust feeder system — many of their first-year players are sophomores coming up from the B- and C-teams. Cutts pointed out Ryan Hill, a handler defender and reliable reset option, as a player to watch this year after he cut his teeth on the C-team last season. Cutts was out this weekend as he rehabs from an injury, and Mason Cary wasn’t playing, so we had no opportunity to get a feel for what the team’s lines will look like in the Spring. They’re younger this year, and they may not have quite the same punch on offense with John Langstaff and Sam Batson now departed. But they look like the deepest team in the region again. Don’t expect them to get snubbed from top tournaments again this season. Oh, also, Georgia covered the spread against Alabama in the SEC Championship game, but that will be little consolation for Dawg fans who had to watch their team choke away a big lead — again! UNC Wilmington looked like a team that had missed a month of their fall at CCC. The team lost a ton of time together due to the effects of Hurricane Florence, and it showed at times over the weekend. They went 3-1, with wins over Cal, Kennesaw State, and Auburn and a loss to Maryland. But they were turnover prone in all of their games, both in bad weather and good. It’s something that plagued their play last season, risky throws and unforced turnovers, and it held their talented roster back from being as successful as they probably could have been. Wilmington were also still without Matt Ellis, who was with the team but not playing. So there’s still plenty of room and time for improvement for Wilmington after this weekend. One area in particular that Wilmington has had to adjust, according to Stewart, is being able to matchup with teams across their entire line. Wilmington will have the talent to be a top 10-15 team in the country, and if they can iron out those kinks — the turnovers and the tendency to play down to teams, as Stewart said — they are set to have a bounce back year. But with how much of the fall they missed, and the circumstances of the weekend, it was tough to tell whether they were on track for that. NC State has spent the fall making a concerted effort to overhaul their culture, and it appears to be paying dividends. They grabbed wins over South Carolina and UConn, tied with Florida State, and lost to UMass, but the weekend appeared to be about more than results for them. “We’ve kind of been stuck and call it ‘Old State Mentality,’” said captain Mike Lee. “We have had really good teams that are really talented and not very disciplined and so go out there and win games on talent, but when it matters and we’re playing other teams with talent that doesn’t always come through it. “We’ve struggled off the field mentally, but also we’ve had spats between teammates and stuff in the past and this year I think we’re really, we’ve done a really good job of everybody on the team likes hanging out with each other and wants to hang out with each other outside of practice. And then that makes our practices better and our tournaments because they enjoy themselves. I think this is the first year I can say, like, throughout the roster, up and down, everybody wants to come to practice all the time and everybody likes hanging out with each other, even through all this muddy crap. Lee said he thought the team did a good job of not getting down on themselves when things went poorly, and not letting bad moments on the field turn into bad stretches. NC State has been a team on the cusp of Nationals for a few years now, and they believe they’ve identified the thing that’s kept them from getting over the hump. They certainly looked a real team in their limited action at CCC, so perhaps 2019 will finally be their year. Maryland had an up and down weekend that started with a double game point win over Wilmington on a field that was essentially a small pond by the time the game was over. They lost to Carnegie Mellon and beat LSU on Sunday, but they were also without their top player in Johnny Walden, who was back home with adenovirus, and several other of their key veterans. In a way, that ended up being a positive for Maryland on the weekend. Stanley said it was the middle of his roster that stepped up on Saturday, but on Sunday, they really struggled. It was the bottom of the roster that upped its performance to end the tournament. Stanley was buoyed by the team’s depth shining in different moments of the tournament, but his biggest takeaway is that the team will be better equipped to play possession ultimate in 2019. A young LSU team grabbed a pair of wins on the weekend, beating Cal and Michigan. They suffered through tough rookie mistakes at times, like turfed resets and weak downfield defense, but they also showed some moments of individual promise. Jeff Oravic is a dangerous cutter; the Reviere brothers, Eric and Dylan, are plus throwers; and Matt Freeburgh is a solid all-around player. But right now much of their depth is made up of inexperienced players, and that seemed to hold them back at CCC. But it should also give the team hope for improvement over the course of the season. 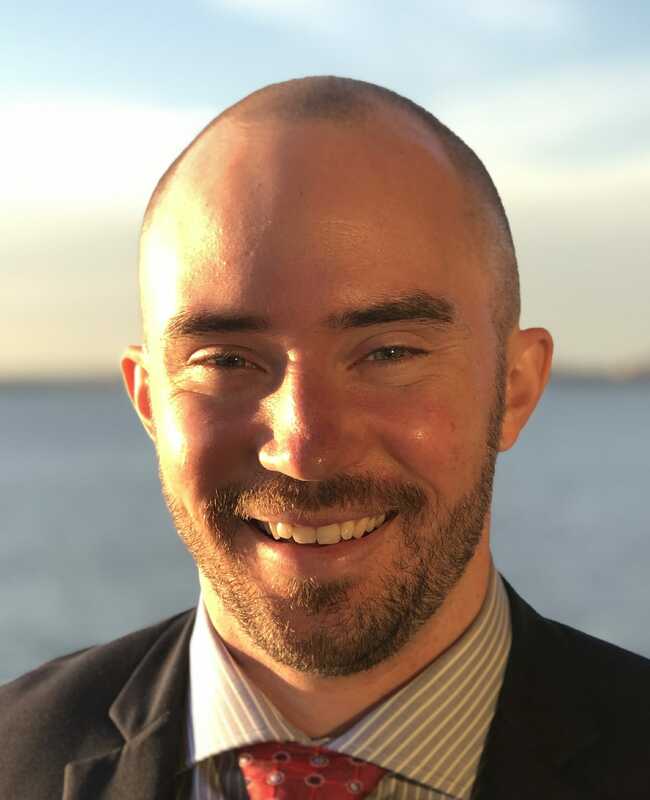 Breen said that nine of the team’s 14 rookies played in high school, with eight coming from Catholic High School in Baton Rouge and the other from HB Woodlawn in Virginia. But perhaps the most intriguing rookie on the LSU roster is German professional handball player Tobias Bork, who Breen said has had an impressive fall. Still, with all those rookies, even with the ultimate and professional athletic experience they bring, LSU was bound to suffer through some rough play, particularly in the rough conditions. But their ceiling is likely higher than what they showed in Athens. A Cal player makes the catch against Georgia Tech. Photo: Brian Whittier. Harvard went undefeated with wins over FSU, Cal, Georgia Tech, and Michigan. They also had a game against Kennesaw State canceled at 4-4 due to lightning. It’s a shame we didn’t get to see them play up against one of the better teams, but they handled their business. They still look like a team that’s a good step below Brown and UMass, but they should be a bigger threat this year than last. Carnegie Mellon still hasn’t finalized their roster, so this weekend was more about getting young players time than focusing on wins. Jasper Tom will be one of the most impressive players in the Ohio Valley this year, but the team is not as talented as last year’s game-to-go finisher. Coach Andrew Willig says this year is about establishing CMU as a perennial competitor with improved youth development. 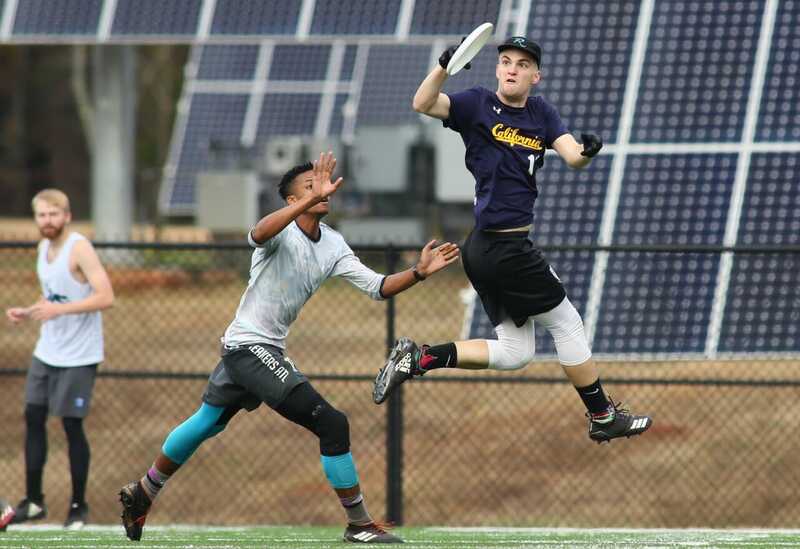 These were not optimal conditions for Cal, a team that absolutely loves to huck the disc. They were looking deep early and often, not so easy in the rain and on narrow fields with small endzones! They beat CMU and Georgia Tech but lost to Harvard. Verdict: incomplete! Michigan and UConn, perennial contenders from the Great Lakes and Metro East, respectively, look a long way from being nationally competitive. Michigan was closer to wins than UConn, who really struggled after graduating a large class of seniors. Shout out to Nathan Kolakovic for braving the conditions on Saturday to film Cal, who hired him to come film them this weekend. What a grinder. In contrast to Saturday, Sunday’s weather was actually pretty amazing. Near record high temperatures meant that teams were able to enjoy 75 degree weather and no precipitation. The TDs really made the most of a terrible weather situation. Teams that came from far away — like Cal, BYU, and the Northeast teams — were given priority for additional games on Saturday, and Georgia didn’t put themselves on the field until the final round on Sunday, at which point most teams had already wanted to leave. Our original film schedule got washed away by the rain. But with great conditions on Sunday, we were able to capture a lot of footage. Games are available for Full and Plus subscribers, as well as those teams with a 2018 College Team Pack. The games will also be in the 2019 College Team Pack, which will be available for purchase starting in January. Here are the games we filmed. Comments on "Classic City Classic 2018: Tournament Recap (Men’s)"